Gray, malleable, and the most abundant metal on Earth, aluminum extrusion is our business and has been for over 30 years. 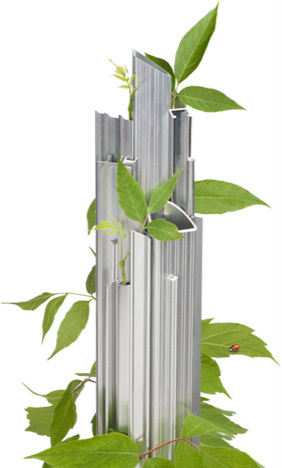 Aluminum extrusions can be turned into a limitless number of shapes, colours, finishes and ultimately, aluminum products. And turning aluminum into ideas has been our business for over 30 years. In fact, we have delivered more ideas to more customers than any other aluminum extrusion company in Canada. Innovative R&D and Single Source manufacturing allow us to create everything from the efficient production of simple aluminum extrusion to the infinite detail of custom finished anodized aluminum products. Customers choose Spectra Aluminum because we deliver industry-leading aluminum extrusion service with powerful business innovation. If you're looking for world-class quality right here in Canada contact us to find out more. Every job is different, every business unique. Being in sync with our customers and having the ability to create efficient and flexible aluminum solutions is what sets Spectra Aluminum apart. Whether we execute a simple aluminum extrusion or a highly complex design with custom finishing, we pride ourselves on being in harmony with each customer's unique business and process needs. Innovative R&D and Single Source manufacturing allows us to create almost anything - always with higher standards of quality. If you're looking for world-class solutions right here in Canada contact us to find out more. Fine jewelry, cars and clothes - true classics are always crafted with exceptional quality. You feel it from a distance and you can see it up close in the details a finely crafted object possesses an unmistakable quality. We’ve been in the aluminum extrusion business for over 30 years and pride ourselves on the total quality of our process. An unparalleled level of attention to detail our customers find in everything from aluminum extrusion, aluminum anodizing through to finishing. As a Single Source supplier, we reduce huge amounts of wear and tear and also eliminate potential conflicts between suppliers. If you’re looking for world-class quality right here in Canada contact us to find out more. The most abundant metal on Earth can be recycled endlessly without any loss of quality or structural integrity. This abundance of aluminum and its versatility and low weight-to-strength ratio make aluminum extrusion ideal for cars, airplanes and even the Space Shuttle. As we move to greener building initiatives and solar energy solutions, aluminum makes more and more sense as the material of choice. For over 30 years we've created innovative aluminum extrusions from simple fabrication through to custom finished anodized aluminum products. And now we're turning our experience into new ideas to help reduce carbon footprints and energy consumption with our in-house LEEDs consultant and solar industry solutions. So if you're looking for world-class quality right here in Ontario contact us to find out more.